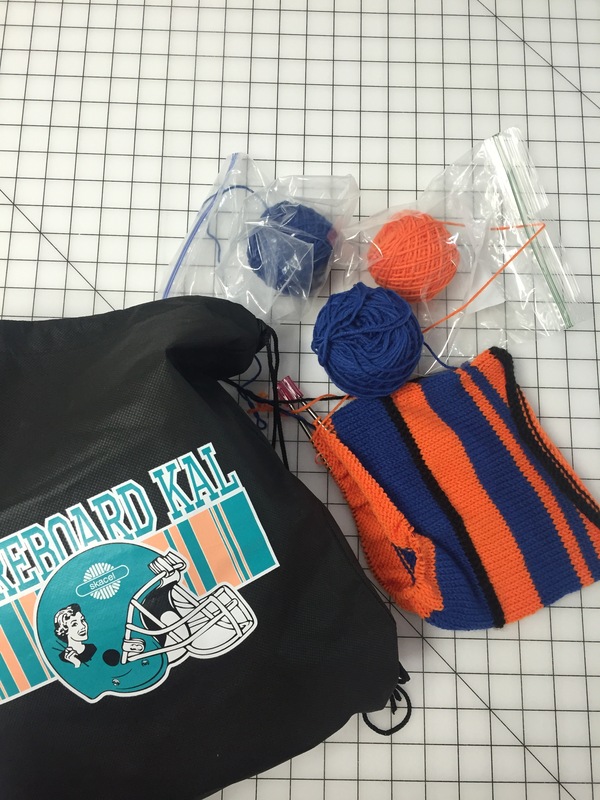 Football fans, this is a super fun project that lasts throughout the football season. Knit during the games or catch up during the week. The Scoreboard Cowl is worked in the two (or three) colors of your favorite football team! The main color (MC) will always represent your favorite team and their points, while the secondary color (CC) will always represent your favorite team’s opponents and their points. There is also an option to add a third color, to provide a visual break line between games. The idea behind the design of the cowl is fairly simple. When your team scores, you will knit a round in the MC for each point attained. Did they kick a field goal? That would be 3 rounds. Did they score a touchdown? That would be 6 rounds. Was the point after good? Add another round! Should the opposing team score on the subsequent drive, their points will be knit in the CC (following the same rules noted above). You will follow this structure for the entire game, switching back and forth between the MC and CC depending on which team scores. All rounds will be worked in knit stitch, except the optional, game-dividing, purl rounds. When the season is over, you will be left with an AMAZING, wearable knitted record of your team’s 2016-2017 season in the Scoreboard Cowl! POINT-FOR-POINT COWL – You can use the SAME GREAT PATTERN as last year, where each point scored equals one round knitted. PLAY-BY-PLAY COWL – If you are looking for a shorter cowl or a quicker knit, yo can download the new 2.0 cowl pattern. Follow the games while knitting a shorter, but equally stunning alternative that uses about half the amount of yarn as the original. Click here to download both great patterns!